Traditional ways of measuring the impact with surveys have several drawbacks, including the cost of planning, conducting and analysing surveys, and the sampling problems caused by events of such magnitude and diversity of participation. MPD allows to measure tourism at a precise level and compare it to benchmark levels and the nature of tourism. The novel approach in tourism statistics provided BAPPENAS (Indonesian Ministry of National Development Planning) with results in just two weeks after the event ended, while the ticket sales offices and surveying had yet to produce their summaries. The work was undertaken in cooperation with Telkomsel, the largest mobile operator in Indonesia with over 160 million subscribers. The analysis revealed many positives and challenges of organising such a wide-scale sports event. In total, Asian Games 2018 attracted about 80,000 foreign visitors from 126 countries. The number of foreign visitors to the event was lower than expected in comparison to the event’s popularity via ticket sales. The highest numbers of foreign visitors came from nearby Asian countries (above). Interestingly, the number of medals correlates with the number of foreign visitors - first China, followed by Japan and Korea. There were also a lot of visitors from the Netherlands, mostly Indonesians who live there. Many of them also visited the Games. Mobile data revealed that visitors from more distant places like Europe and the Americas mostly did not come for the Games themselves. Visitors from India stayed the longest. 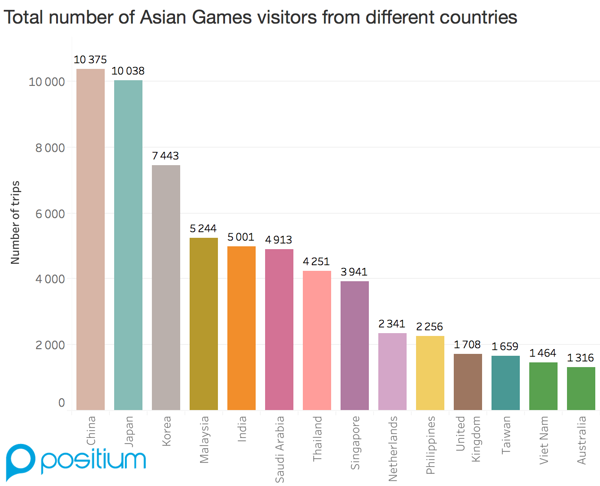 (Image above: most visited other destinations for Asian Games visitors, daily average.) 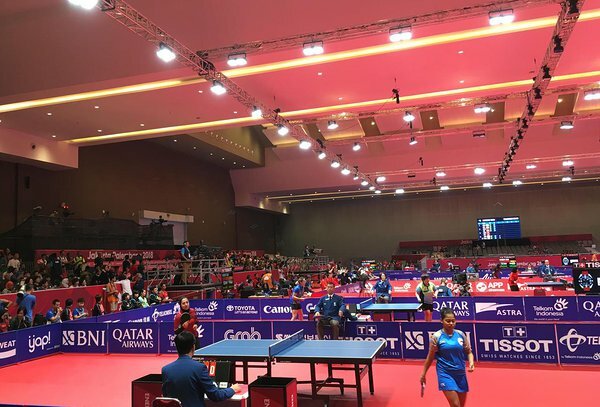 However, those that visited the Asian Games were the ones who stayed for an extended period of time and visited many other locations in Indonesia. Most visited places were Bandung, Banyuasin, Kemaro island, Batam, and Bali. 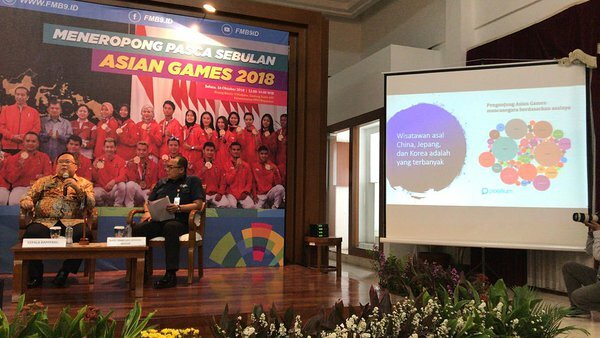 Today, October 15, 2018, the Minister of National Development Planning of Indonesia, Mr Bambang Brodjonegoro, held a press conference to showcase the results of Asian Games (above). He highlighted the main findings for tourism using Positium's visuals among others. The results presented today have been summarised in our article. You can find our PR pack here.